Window clenaing is a service that can really make a difference in the appearance of your home. Realtors and home professionals will tell you that the one thing that will really make your home stand out when selling it is clean windows. This service is not our main priority but we do offer it if you have windows you cannot reach and would like cleaned. 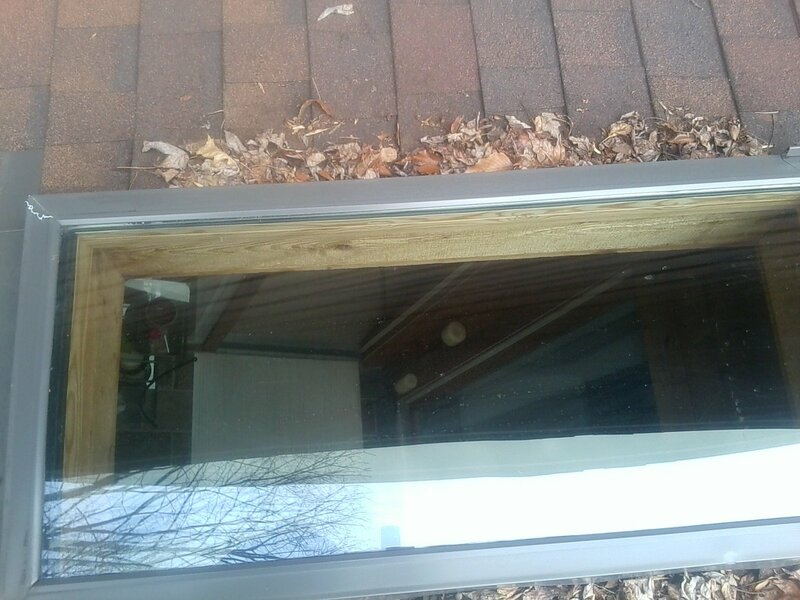 We only offer this service on the exteriors of windows as most people can clean the insides without any trouble. 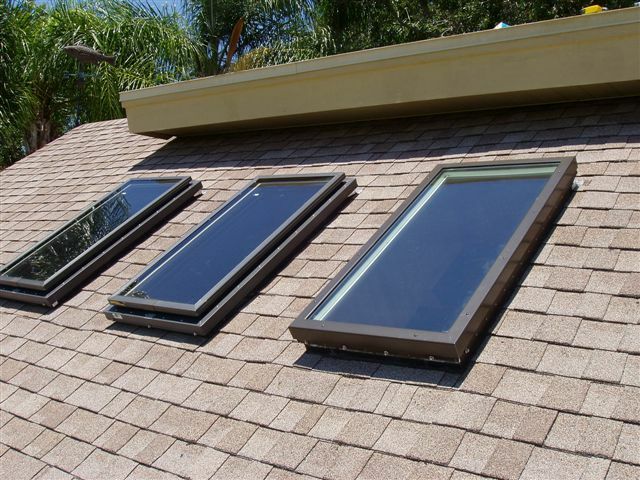 We offer this service to both exterior windows and skylights. There really is not much of a process to window cleaning. We apply a streak free cleaner and wipe clean with a towel and elbow grease. That's pretty much it. 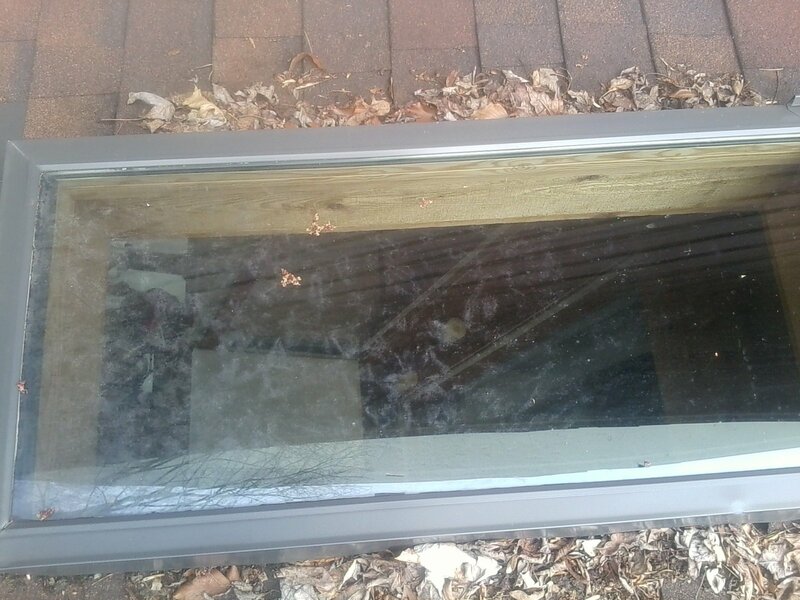 We offer this service on almost any skylight installation you have as long as its accessible from the roof. The typical cost is $5 per window and bay windows are usually a little more. This service is only offered on a limited basis due to us not having the right equipment to do this full time. "They called, spoke with me and gave me an estimate of the cost of the work. Russ, the owner, called to let me know they were running late and gave me an estimated time of arrival (ETA). He called me when they were 15 minutes out. Russ had an assistant and they had the items moved out very quickly, about 15 minutes from start to finish. I'd absolutely hire them again and have highly recommended them to friends and family." "Very reasonably priced and courteous. Their work was done well and they took more than I initially thought they would. They were on time and did very neat work. I will use them again"
"Called to get gutters cleaned. Stated he would have it done by end of week. Work was done when they said they would do it. Did a good job. Everything went smooth. Would use this company again." "Russ kept in contact after I called for an estimate. They showed up upon the agreed time and they did a great job. The cleaned everything up as they worked. After they left we couldn't tell they were here. They did a great job and I am going to call them this fall." Copyright © 2019 A Plus Gutter Cleaning. All Rights Reserved.